We are looking for a hard-working, enthusiastic individual with an interest in China to join our marketing team in Shanghai. You’ll join a small, international team of passionate people and have the chance to make a real impact on our business from day one. Hutong School is the first Chinese language school under foreign management to be officially licensed by the Chinese Ministry of Education. Since launching in Beijing in 2005, we have opened branches in Shanghai and Hangzhou, as well as several locations across the world. Our young and dynamic team in Shanghai is formed of people from all over the world, each of whom share a passion for youth travel to China. The school is located down a traditional Shanghai alley in the former French Concession, just a stone’s throw from metro lines 1 and 7. Thanks for your interest in Hutong School. 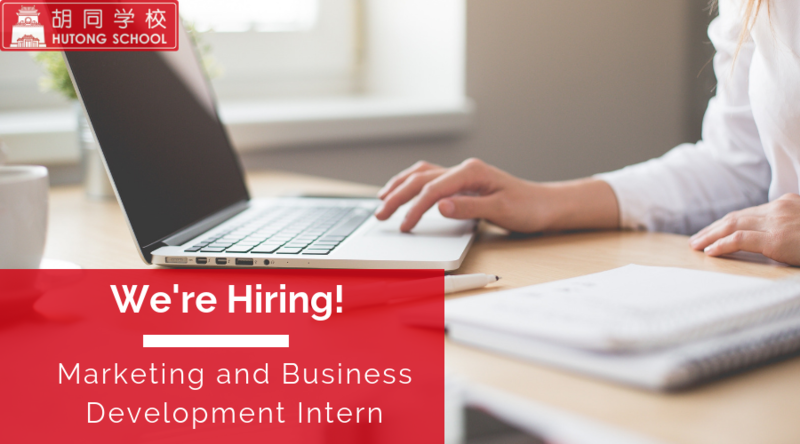 To apply please follow the instructions at the bottom of the internship description.